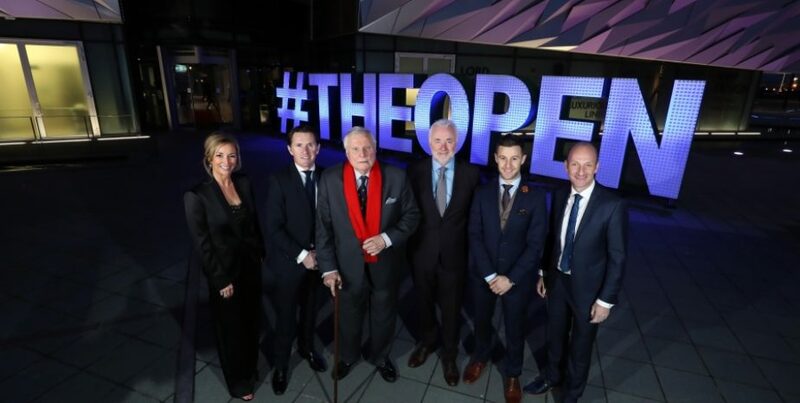 Tourism NI marked the start of the official build up to The 148th Open at Royal Portrush this evening with a celebration of Northern Ireland talent from across the worlds of sport, music, media, television and the arts. Hosted by Stephen Watson and Claire McCollum, the theme of the event was ‘We’ve Come a Long Way’ and included the unveiling of a short film by award winning director and producer Martin Stalker. The film, which will be distributed widely across key tourism markets, was set to an original poem by local poet Paula Matthews, and narrated by leading actors Ian McElhinney, Bronagh Waugh, Saoirse-Monica Jackson and Shaun Blaney and accompanied by an original score composed and performed by Belfast-born virtuoso pianist Michael McHale. A sporting panel included record-breaking champion jockey Sir Anthony McCoy OBE and four-time Superbike World Champion, Jonathan Rea MBE, who shared their experiences of competing at the top of their profession and representing Northern Ireland on the world stage. Also interviewed was legendary golfing commentator Peter Alliss. 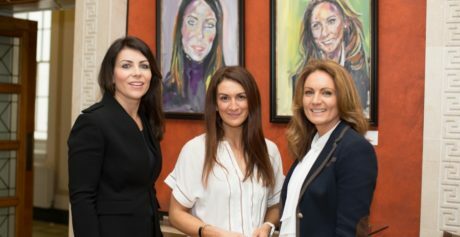 Voices of support from global golfing icons including Rory McIlroy, Graeme McDowell and Darren Clarke, as well as up-and-coming golfing stars Stephanie Meadow and Tom McKibbin added to the night. “The ambitious plans set ten years ago have transformed Northern Ireland and our ambitions for the future are just as big. Our golfing story is a global success and that has brought us right here tonight as we look forward to 190,000 fans and visitors from across the globe descending on Royal Portrush in July for the biggest sporting event ever held in Northern Ireland. “The 148th Open will leave a legacy that will benefit Northern Ireland for years to come. It will boost our reputation as a premier destination for international events and gives a well-earned boost to the development of our hard-working tourism businesses. “There is great excitement among golf fans for the return of The Open to Royal Portrush for the first time in nearly 70 years. This is reflected in the unprecedented demand for tickets which has led to all four Championship days being sold out for the very first time and the evident enthusiasm for golf throughout the island of Ireland. 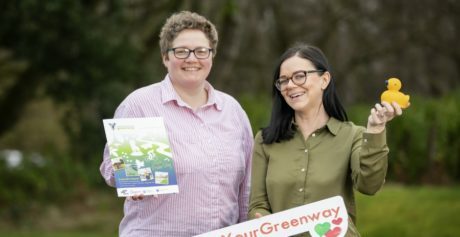 Tourism NI’s marketing and PR plans will include an ‘Epic Journey to The Open 2019’, a promotional tour of every county in Northern Ireland as well as Dublin city centre, so communities, schools, sportspeople and golf clubs can all be part of the celebration and excitement of The Open in their area. The 148th Open will be held at Royal Portrush Golf Club from Sunday 14th – Sunday 21st July 2019. Practice Day tickets and hospitality packages are still available.